We are about to take a deep breathe. The kind you take between the end and the beginning of something new. That is how I feel about this trip we are taking for the next 10 days out west. It feels just like a deep breathe. Even though we are headed west to do some content work for the blog and have some meetings, we are taking this time to clear our heads and to mark the space between one moment and another. 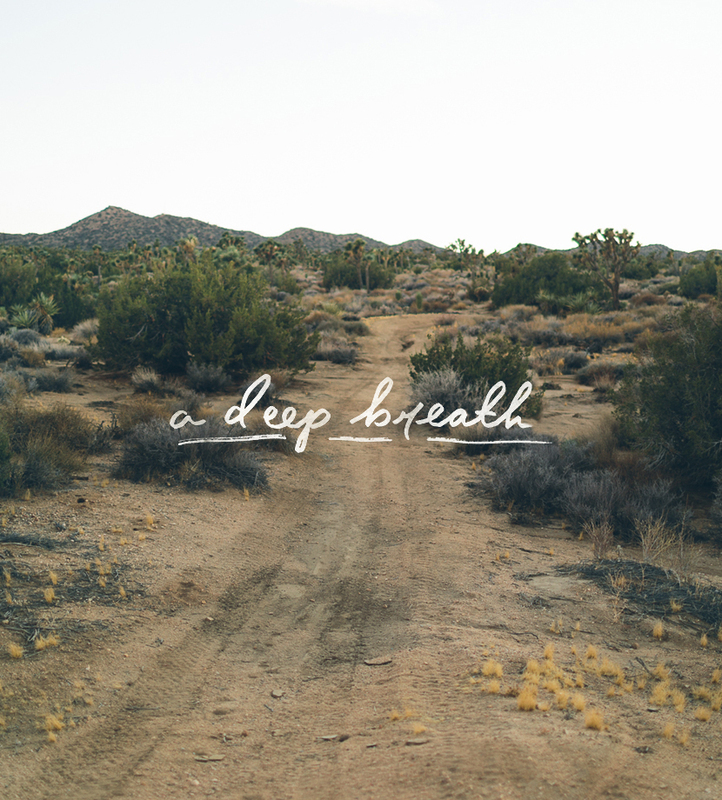 Life calls for deep breaths. In this case, this deep breathe is to clear our heads and be reflective. Our goal is to meditate on where the journey is taking us. Life can move quickly and without knowing it you can wake up somewhere you never imagined. We have to be aware of our direction or others will set it for us, which is a constant fear of mine. Maybe that is what makes me hyper aware of embracing life to the fullest. I want to know that life is purposeful, including even the pauses. I want to know that my work is fulfilling and aligning with my truths. Yes, that can be debilitating and it can make decisions not happen quick enough. That is why listening in these moments of pause, leaving room for silence, and trusting my gut are important. Individually, Mike and I, have made rash decisions by focusing on what we think the world wants from us or what seems to be the way we should go. Creativity is a fragile thing and it needs space to grow and find its way. So, the best thing we can do is sometimes go west and take a deep breathe whether that be literally or metaphorically I am not sure. The goal is to find a moment to be quiet and let your soul go deep. I hope you guys have a wonderful weekend and that you find time for a deep breathe in the way you need. Embrace it and quiet yourself long enough to find the space to hear what you really need. I highly suggest you stay up on our instagram as we travel through the desert and the coast over the next 10 days. We will be hopping around and enjoying some travel for the first time in about 6 weeks.